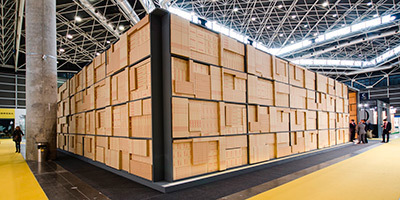 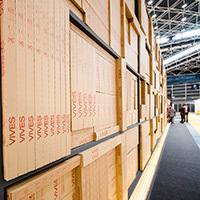 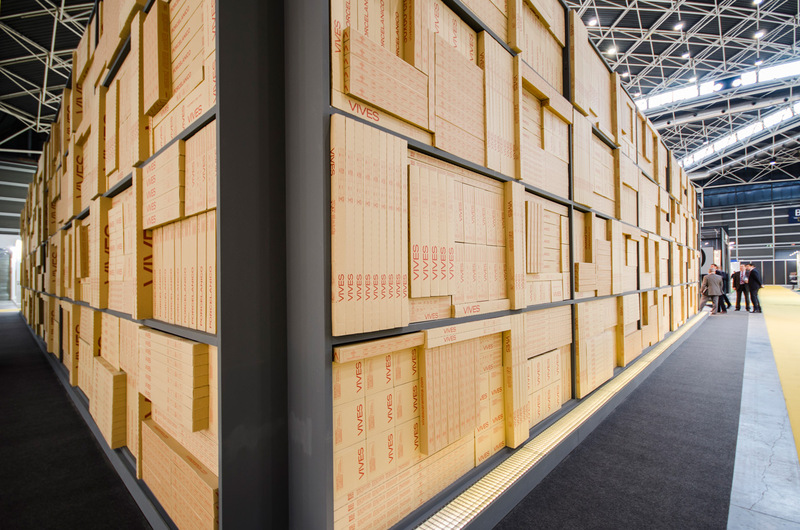 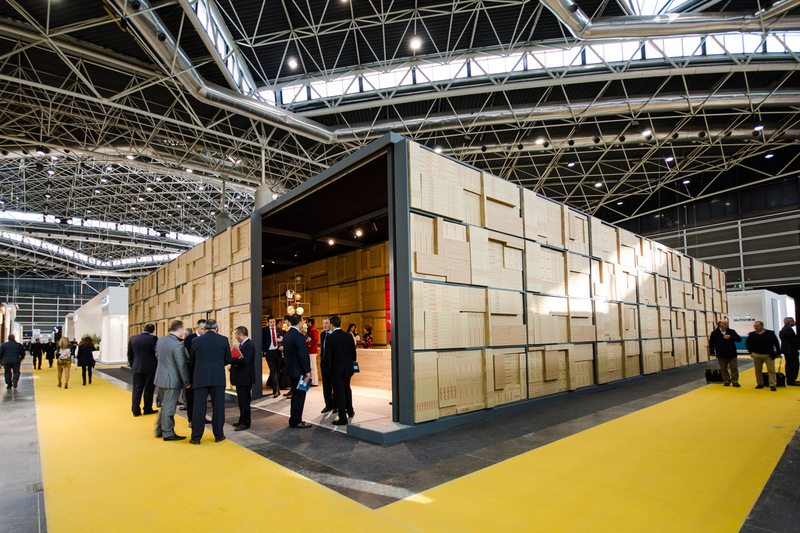 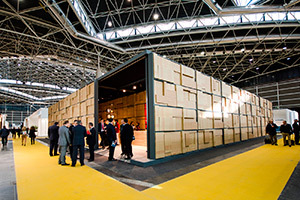 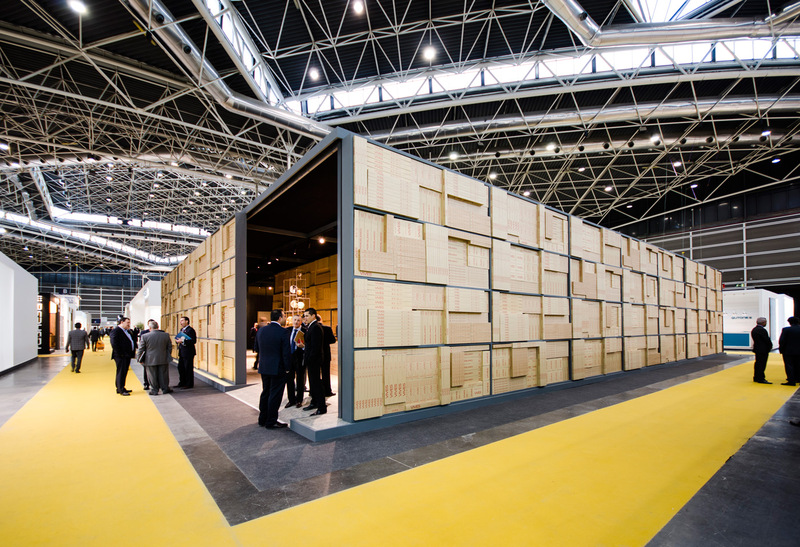 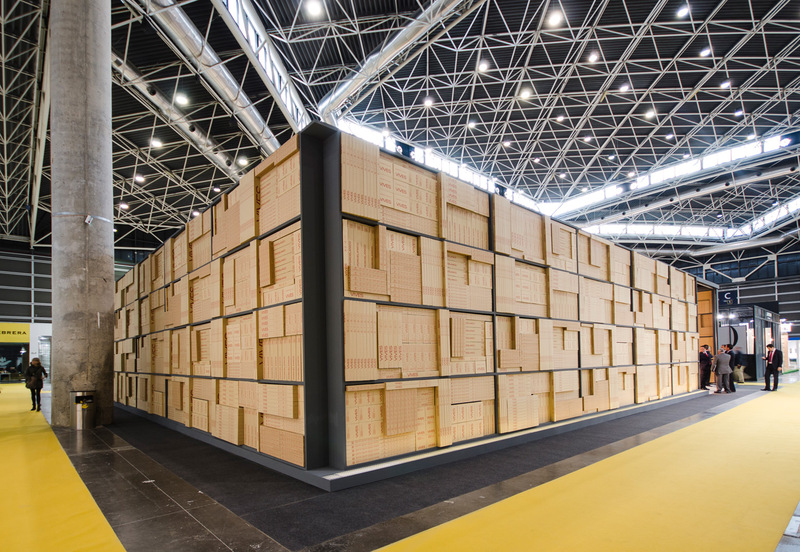 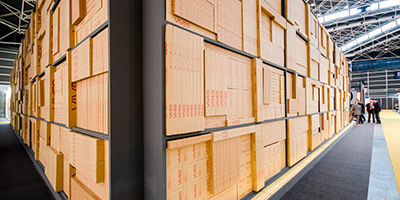 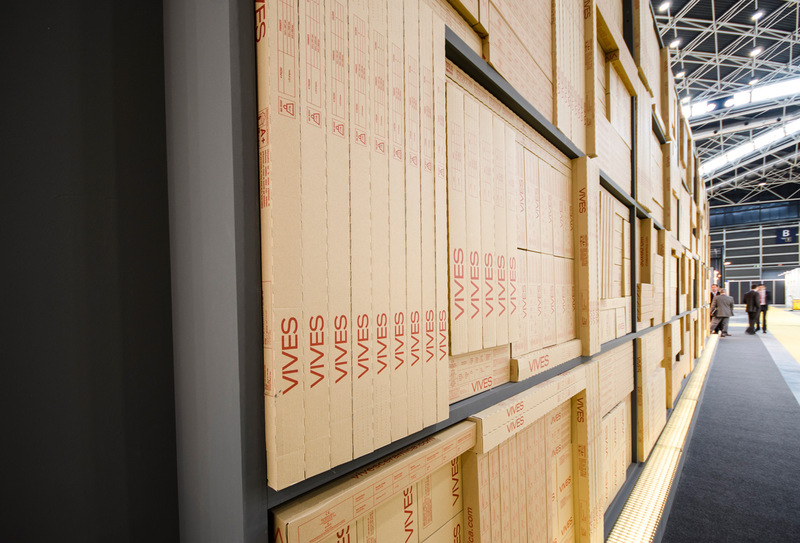 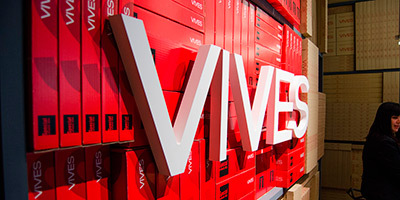 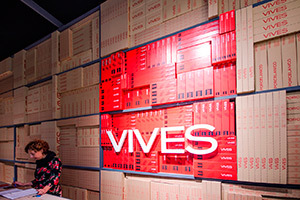 Did you know Vives’ Cevisama 2015 stand was build with more than 7.000 carton boxes? 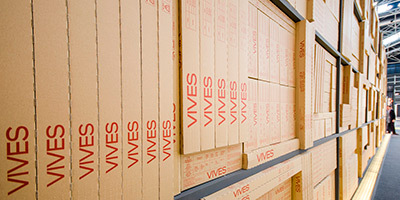 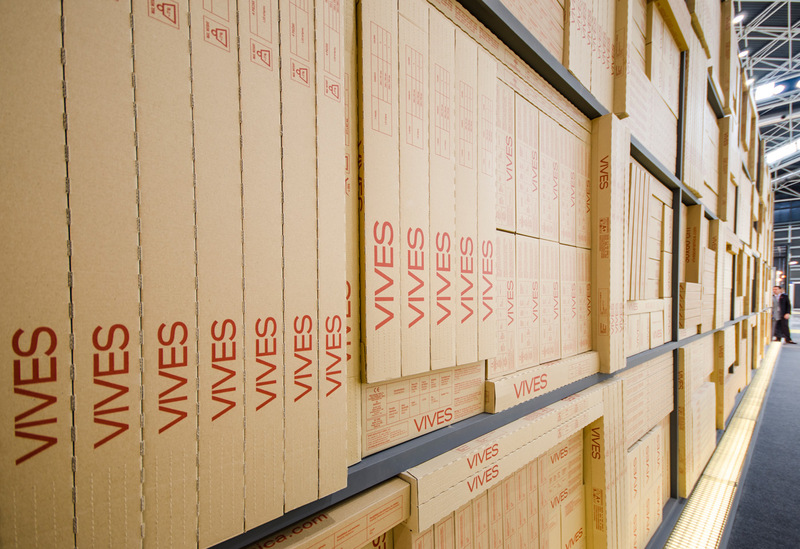 The kind of boxes used for packaging Vives’ tiles. 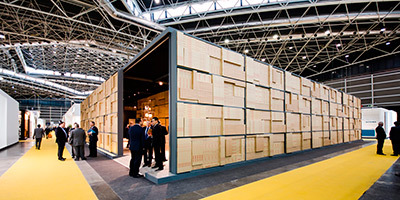 The stand recreated a warehouse therefore the walls were made with boxes that acted out as the shelves where tiles are stored. 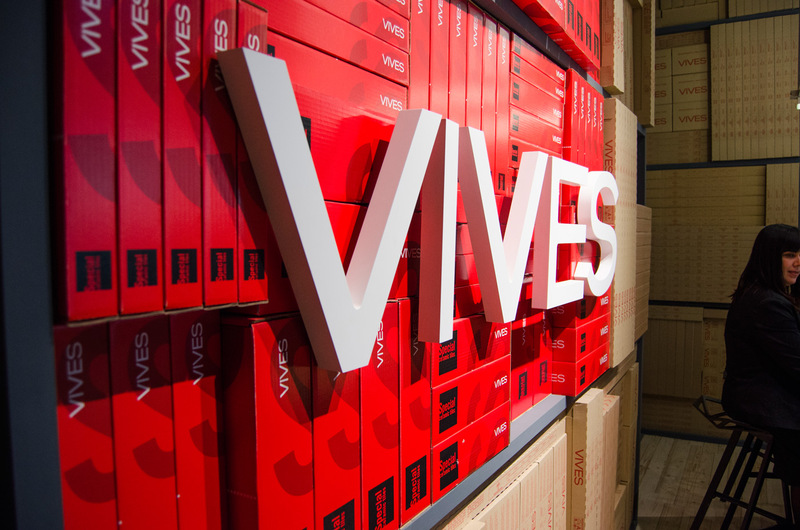 Decorative trends highlight industrial interiors styles, that’s why Vives being original and trendy recreated a space to surprise visitors and also be different from its competitors. 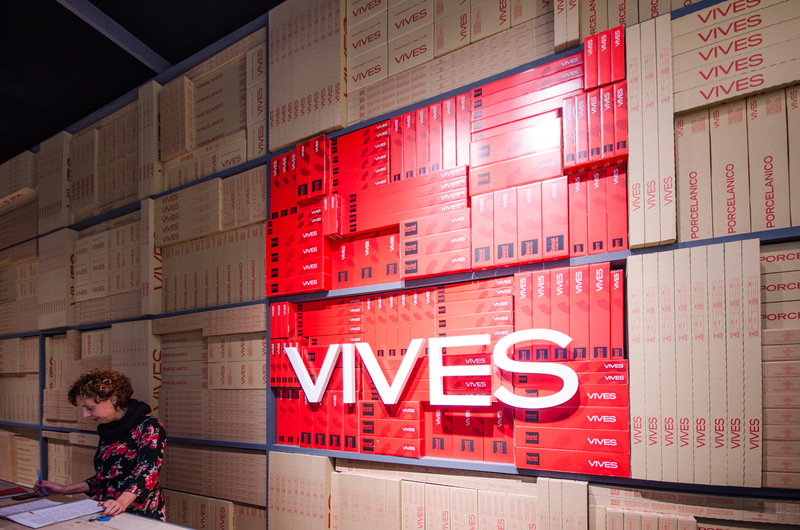 Goal achieved!